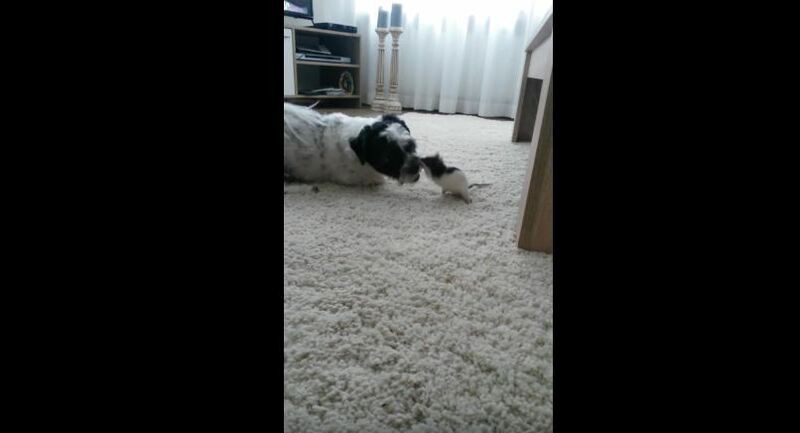 This Dog And Rat Are Somehow The Best Of Friends…Just Watch Them Play! There’s no telling when or where you’ll meet your new best friend. It’s one of life’s most beautiful surprises! And these two fluffy friends make it seem even more adorable as they play around on the living room floor. The tiny rat is almost like a perfect mini copy of his dog best friend, with their similar fur patterns. But I’m sure even if one or the other were a shade of neon pink, it wouldn’t stop these cuties from having a blast together. I could watch them have fun all day, but I think I need to go give my own bestie a call.